Eastlake Vision Center Optometry is your Eye Doctor in Chula Vista, CA! At Eastlake Vision Center Optometry, we specialize in understanding how the human eye really works. Our focus is on eye diseases and especially conditions which can ultimately affect your vision. Since many of these conditions do not always have obvious symptoms we must use our honed skills and experience to weigh the levels of age and other risk factors which can affect vision over time. Risk factors vary from youth to older persons, and we understand the benefits and optimal features of corrective lenses. We will be able to best advise on the choice and benefits of eyeglasses vs. contact lenses for your specific condition. We always take the time to explain the results of your eye exam, to describe your various options and to listen to your specific eye care concerns and needs. Maintaining your eye health will always be an ongoing partnership between us. We encourage you to ask questions and to share your health information and vision concerns. They can be vital to the monitoring, diagnosing and treatment options for your specific vision problems. 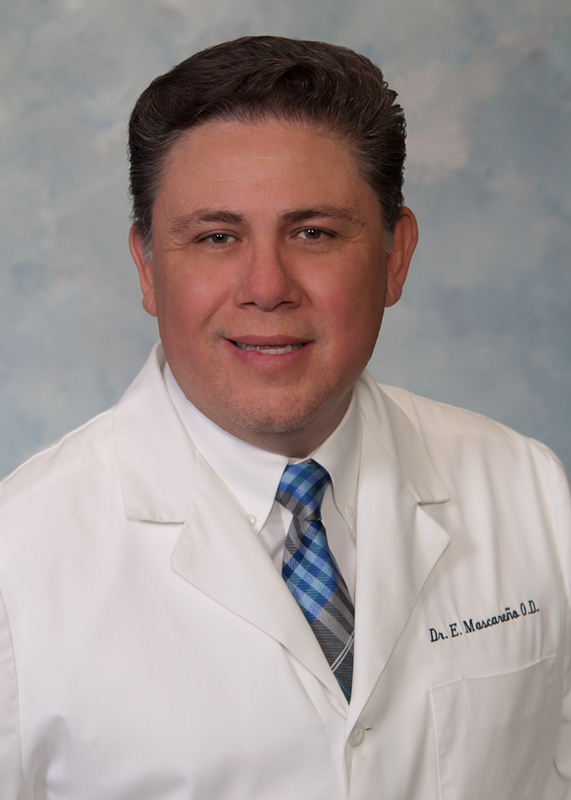 Dr. Efrain Mascareño has practiced and lived in Chula Vista since 1997. He received his Doctor of Optometry degree from UC Berkeley. Dr. Mascareño is therapeutically board certified in the treatment of eye diseases and has extensive experience in contact lens fittings. He is a member of the American Optometric Association, the California Optometric Association, and the San Diego County Optometric Association. He enjoys hiking, traveling and spending time outdoors with his wife and three kids.